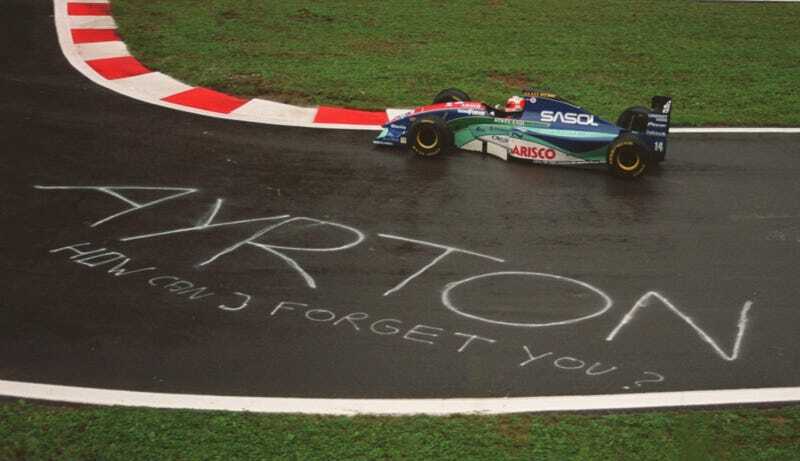 Jordan 194 driven by Rubens Barrichello in 1994 Belgian GP qualifying. Barrichello took surprise pole position in the wet qualifying which also remains the last pole for Hart engined car. However Rubens wasn’t able to finish the race as he made a slight mistake and drove off the track.